I struggled a bit with today’s image. Nothing struck me as I went about my day and I had no solid backup plan. So at 7:00 PM I set out in search of inspiration. And it turned out to be more of a scouting mission. 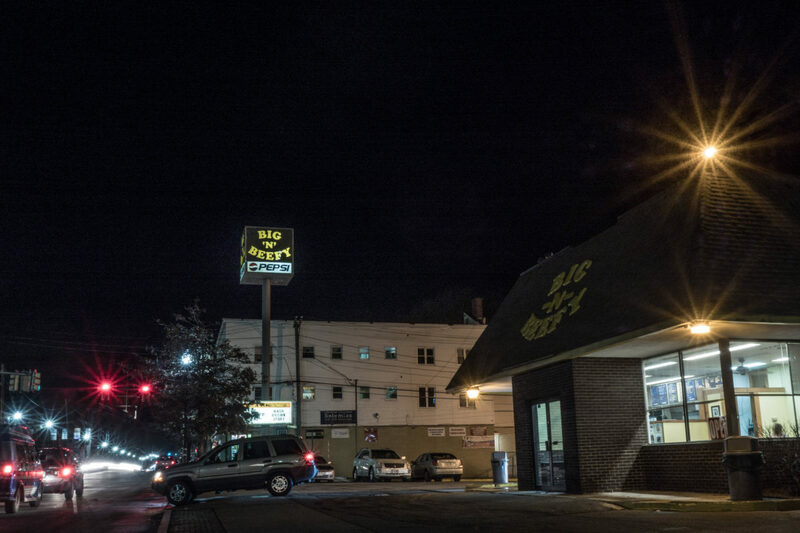 This local road beef fast food joint is something of an icon in Lawrence and I am convinced there is a really good photograph here somewhere. I spent a few minutes shooting, exploring different compositions. I have some ideas, but they didn’t come together tonight in the time I had. So I’ll settle for this one.